Donald Trump will use his upcoming Saudi Arabia trip to announce one of the largest arms sales deals in US history - somewhere in the neighbouhood of $98bn to $128bn worth of arms. That could add up to $350bn over 10 years. The deal will be what the Washington Post described as a “cornerstone” of the proposal encouraging the Gulf states to form its own alliance like the North Atlantic Treaty Organisation (NATO) military alliance, dubbed “Arab NATO." President Trump been an outspoken critic of the organisation but after a face-to-face meeting with NATO Secretary General Jens Stollenberg, he said the alliance was "no longer obsolete." The White House said the president will propose it as a template for an alliance that will fight terrorism and keep Iran in check. 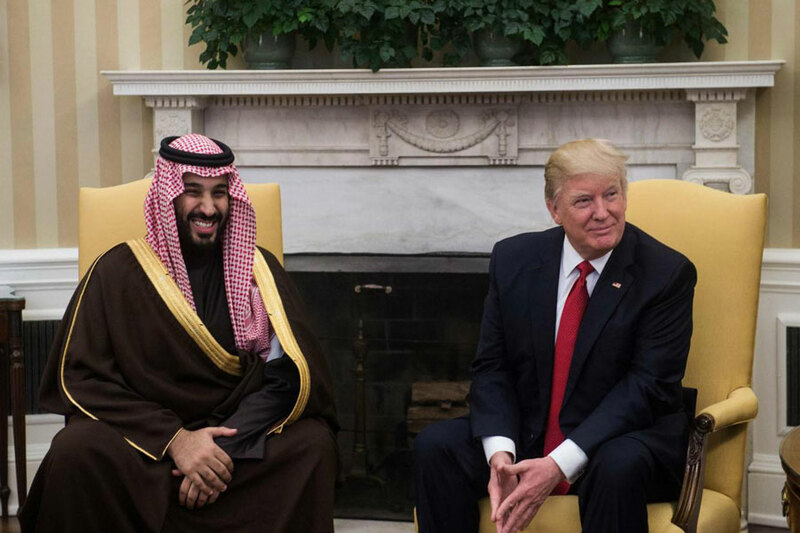 Saudi Crown Prince Mohammed bin Salman began negotiations on this deal shortly after the 2016 US election when he sent a delegation to Trump Tower to meet with the president’s son-in-law Jared Kushner, who is serving as a senior advisor of sorts to Mr Trump. The idea of an Arab Nato is not new. There was talk in 2015 of a “response force” in Egypt, comprised of approximately 40,000 troops from Egypt, Jordan, Morocco, Saudi Arabia, Sudan, and a few other Gulf nations. The “response force” would have had a Nato-like command structure, with soldiers paid for by their own countries and the Gulf Cooperation Council made up of wealthy oil economies finance operations and management of the force. However, intra-regional tensions and centuries-old disputes prevented it from ever being established. The Trump administration has not addressed that problem as yet, but the “America First” doctrine seems to be driving the arms deal and proposal. More American involvement, a more entrenched Nato-like military structure, and increased professional capability to match Nato forces may come about in the new Arab Nato alliance in part due to the motivation of Saudi Arabia. President Barack Obama's administration brokered more arms sales than any US administration since World War II - estimated at $200 billion. They sold Saudi Arabia alone $60 billion in arms, which sparked criticism by Democrats concerned with Saudi Arabia's alleged human rights violations. Trump benefits by bringing about a more “fair” deal; he has claimed several times that NATO is unfair to the US because of the amount of contributions and support provided by the US compared to countries like Germany. If Arab Nato succeeds, the White House official said the US could shift the responsibility for security to those in the region and create jobs at home through the arms sales. Trump is set to arrive in Riyadh on 20 May after which he will travel to Israel, the Vatican, and Italy for the Group of Seven meeting.